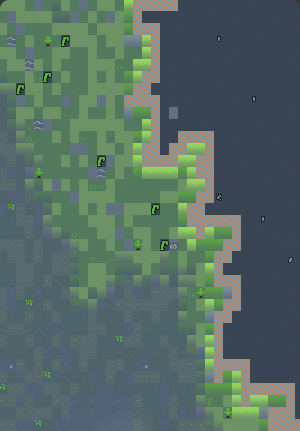 Dwarf Fortress looks too serious and gritty, especially when it's filled with so much fun, ☼Fun☼ and comedy. The OS X .app version has been succeeded by Dwarf Builder, which lets you make a .app custom tailored to your needs! 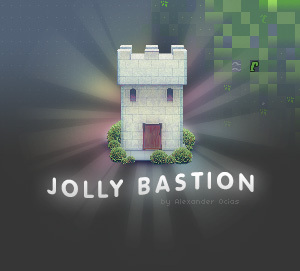 Alternatively, it's easy to install Jolly Bastion on a regular OS X DF by just placing all the mod files in the given directories. If you want to go even warmer, check out Vherid's awesome tailor-made custom scheme. Edit/copy files as you would in a normal install, yay! Go right ahead! Let me know if you use it though, I'd love to see what you make! Tileset uses elements from Nobbin's "Yoshi's Island"
Incredible, it gives the player a completely different impression of the game. The game looks much more upbeat! I like it! Sail - The end reminds me of a goblin choking a kobold. No ponies, sorry. I very much like the blue-gray elevation transition, adds a lot of depth! I would love an alternate version with bearded or otherwise more dwarfy looking dwarves. Also posting to watch, I will definitely give this a try. The stark contrast in vanilla DF is a huge strain on my eyes, and this brighter, smoother set will be a great help. Wow, that looks beautiful ! I shall be using it. That's a work of art! Thanks for sharing it. I love the color palette. The font is a little hard to read, though. I think the font is pretty easy to read. I also like that it's playful. Very nicely done! I prefer square tilesets usually but this is very nice. You might want to check this out. He's looking for some help too. 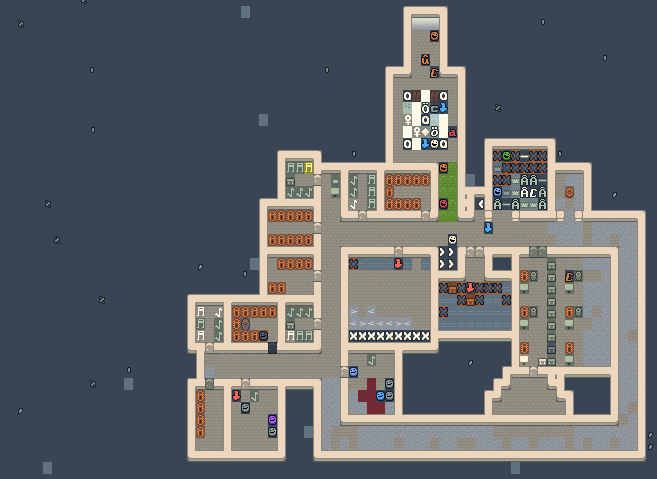 Is there any chance you can create icons for the Masterwork Dwarf Fortress mod? This reminds me a lot of Brogue, was that the intention? Because Brogue is a cool thing. Very nice and original! Could you please make a square version? This is just beautiful! So much happier than any other set I've seen. However, is there a chance you'd be willing to make a square version of it? As much as I love it I just prefer square tiles. 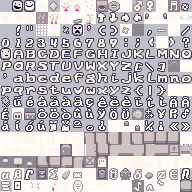 I've always used graphical tilesets, never been a fan of ASCII. That being said, with this tileset, everything makes sense and its incredibly easy to visualize the world. Nothing about the tileset is confusing or hard to wrap your head around, plus it looks fantastic, better than a lot of tilesets I use. It'll take a little while to get used to, learning the symbols, but this is amazing. Is this still using the ascii tiles in the raws ? phoebus, mayday and ironhand need changes in the tilenumbers, but this looks just like it might be a simply switch in color table and tileset graphic, and not the raws itself. If yes, brilliant. Fantastic! I love everything about it! Unfortunately there's no way to change the ground tiles (you CAN change the grass tiles, but not the rough rock floors). Meph- apart from the shrub tile, this is indeed vanilla DF! It's all in the tileset+colourscheme.